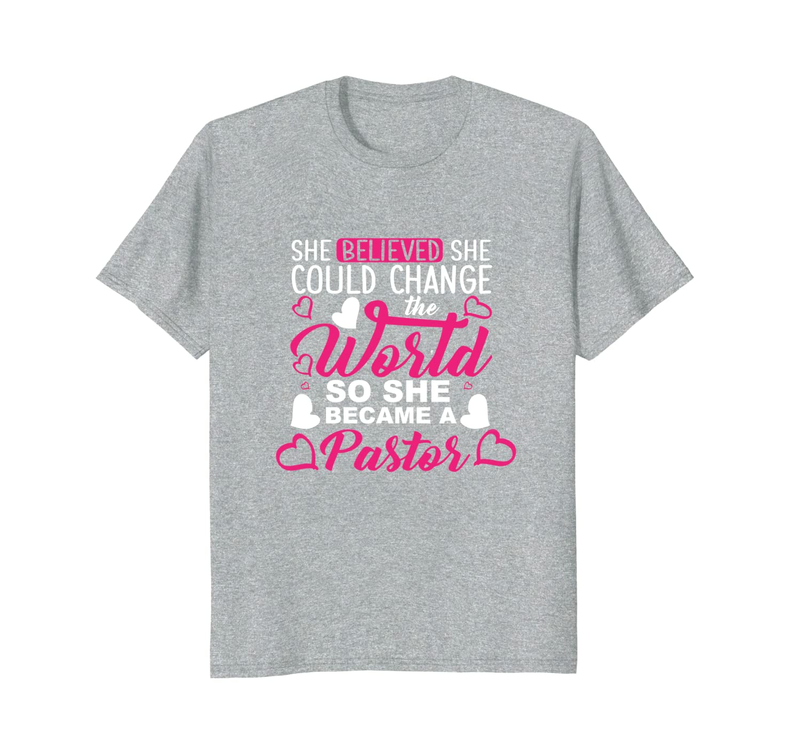 Check out these she believed she could change the world shirts for Christians. There are two different designs. 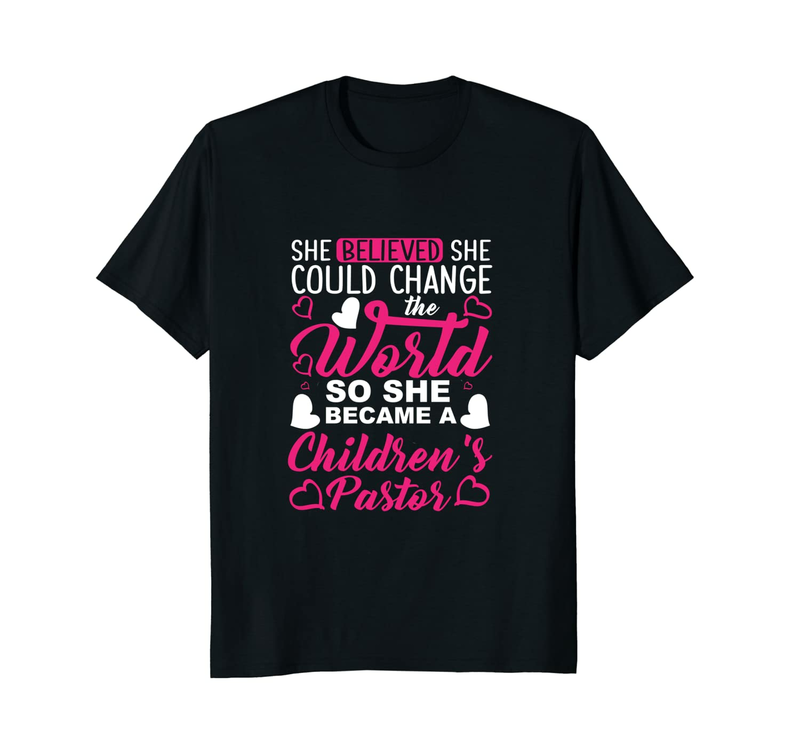 One reads, She Believed She Could The World Shirts So She Became a Pastor ​and the other shirt reads she Believed She Could The World Shirts So She Became a Children's Pastor. Both makes a great gift for pastors, children's pastor, or youth ministers. Looking for this design on other products, check out our redbubble listing here (Redbubble.com) for the pastor shirt and here (Redbubble.com) for the children's pastor shirt. There are mugs, journals and other products there.